Concerned about the rise in homelessness, the team behind participated in San Francisco's Startup in Residence program in 2016 and developed Outreach Grid alongside the West Sacramento Police Department. The functions and features in Outreach Grid revolve around a singular goal: to have a dedicated platform to understand the state of homelessness in the city, in order to deliver faster and better care. Track the history of camp locations and outreach efforts. 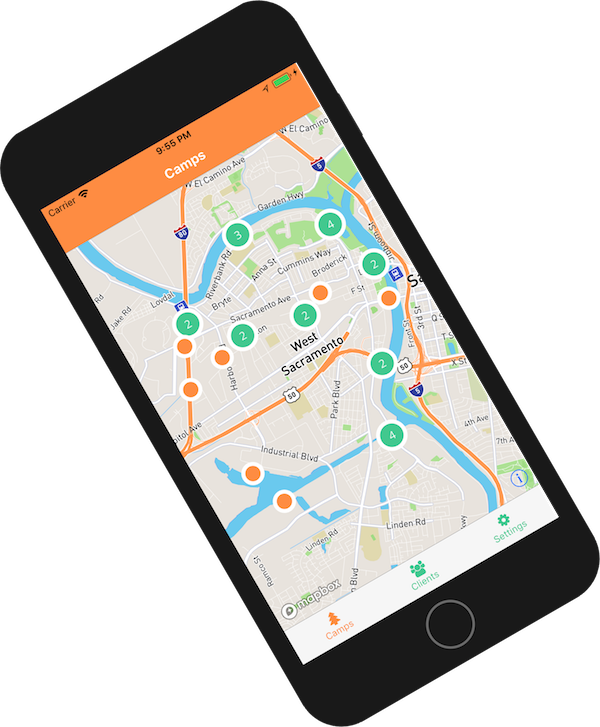 Easily identify trends of camp openings, closings, and re-openings across your city. Outreach Grid records paths via GPS to map out walk paths that are safe for workers to traverse for hard-to-reach camps. Every agency will want to know something different about its clients. We import your intake forms to easy-to-input forms in the app. Easily record work done for camps and clients across multiple agencies by updating a task and tagging other outreach workers or employees from another agency. Reports on aggregate data can be generated with just a click of a button.